At times my skin gets a little too dry, especially for areas like my elbows!! 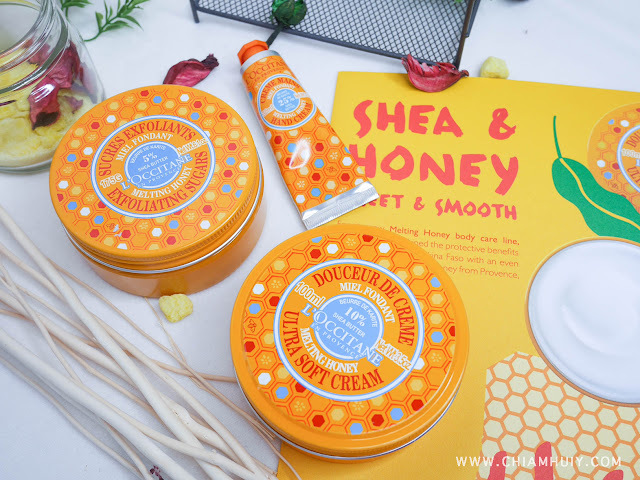 I heard honey is always good for the skin so I'm particular keen to try this new range out when L'occitane's Shea & Honey Melting Honey body care line is launched! 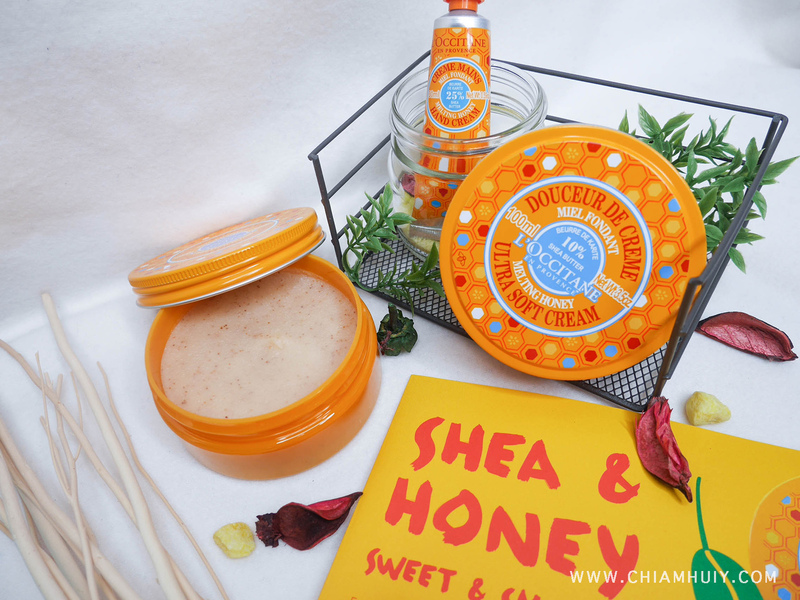 Combined with the beneficial effects of shea butter from Burkina Faso and nourishing effects of the honey, look forward to give your skin a sweet treat, smelling all like honey and sweetness. For weekly maintenance, try out the Melting Honey exfoliating sugars (175g), which is meant to be more moisturiing and less harsh on the skin, thanks to the honey and shea butter ingredients found in this range. 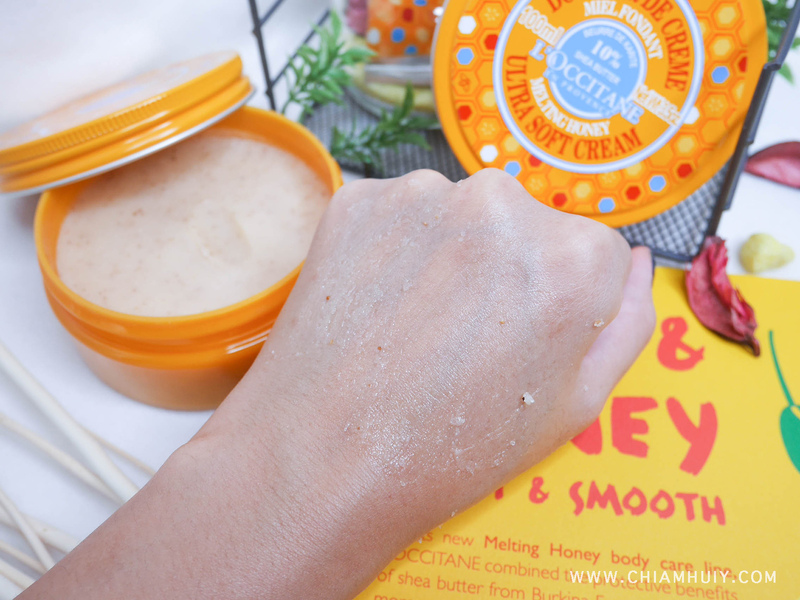 I like how my skin become so smooth right after the gentle exfoliation using the Melting Honey exfoliating sugars. 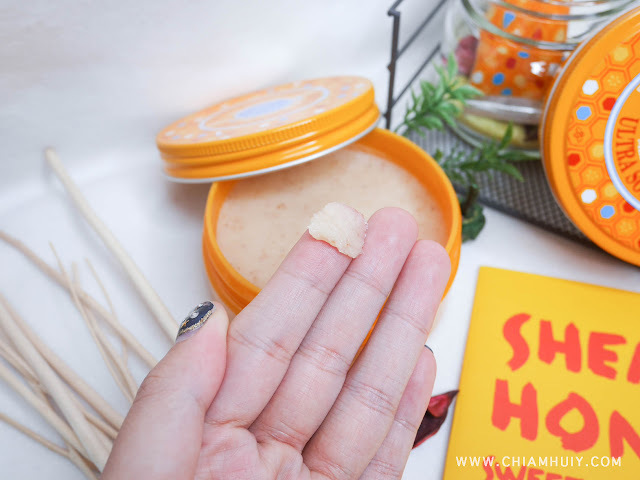 The exfoliating bits are sugar crystals and walnut shells, which gentle exfoliates using natural ingredients without having damaging and hurting your skin. 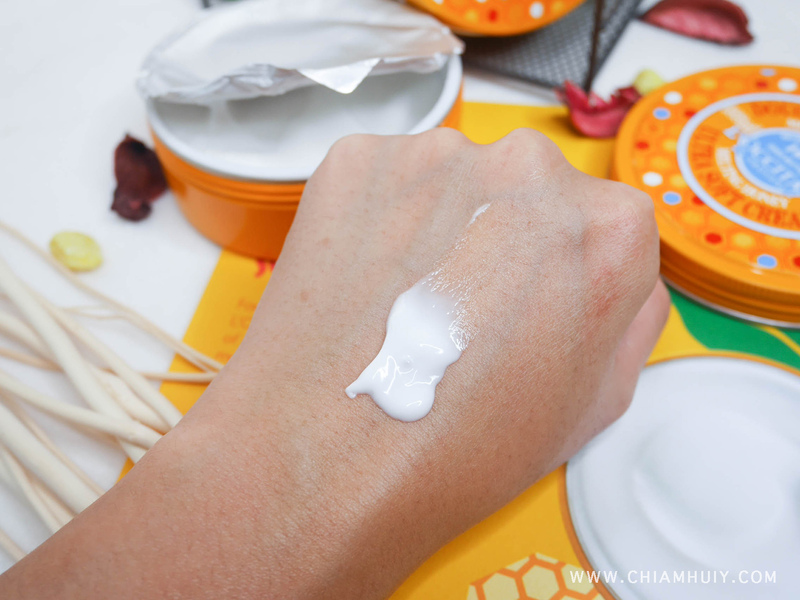 Following up next is the Melting Honey Ultra Soft Cream (100ml), which gives the skin a light smooth body coverage. If you fear greasiness like how I do, Loccitane moisturisers and body creams are always a good choice. 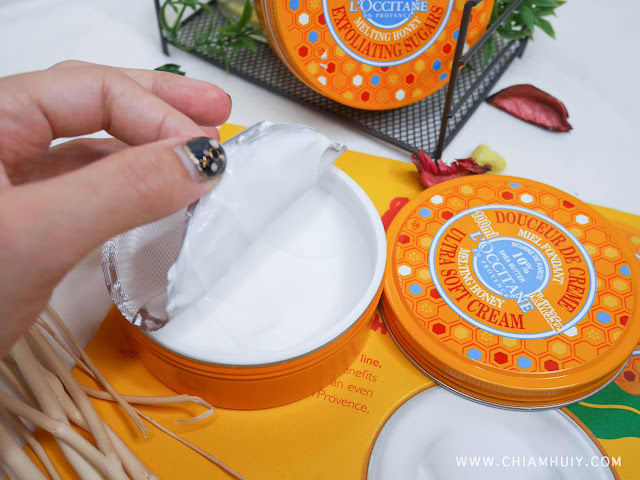 I find them pretty moisturising and good thing is they don't feel greasy at all after application! Even without such greasiness, they're able to make your skin feel moisturised. So as you can tell, the skin looks the same even after apply the body cream, but more moisturised in real life. Coming up to the last product I have for this review is the Melting Honey Hand Cream. Oops, I might not have mentioned this but all the products in this series smell the same - lovingly sweet and very much honey! 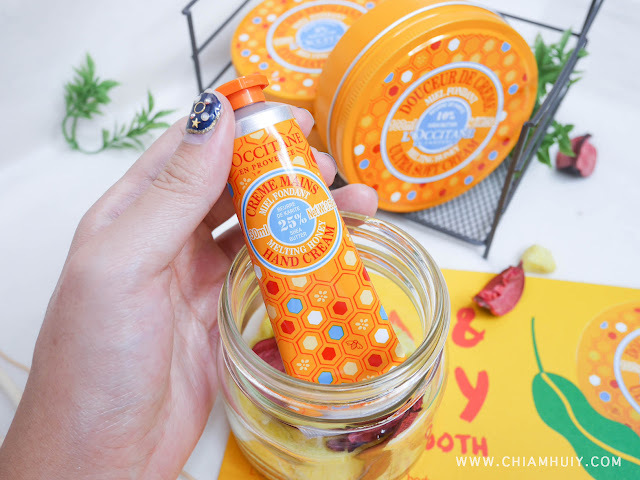 The Melting Honey Hand Cream is formulated with high concentration of shea butter in an innovative whipped texture, like any other hand creams from Loccitane. 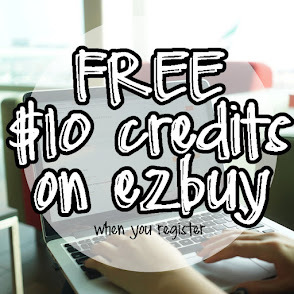 The only thing is this is a limited edition so make sure you get it before they go oos! 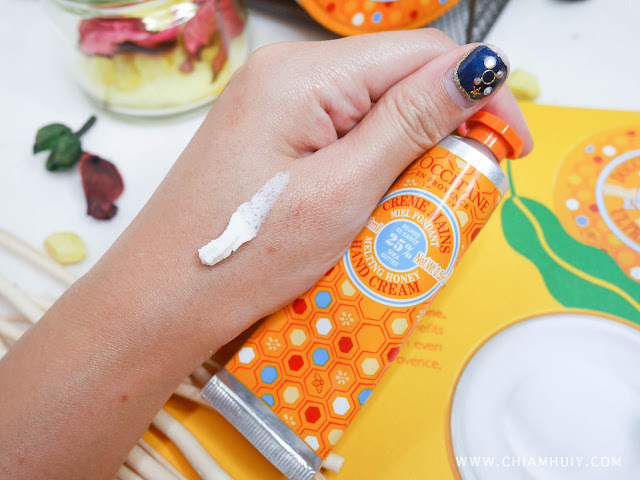 Other than the aforementioned products, do look out for these under L'occitane Shea & Honey Melting Honey body care line! Thank you L'occitane for making this review post possible!